With two school age children, each October I face volunteer requests for halloween desserts at school festivals, usually for the ‘cake walk’ prizes. I remember the shock my first year when I placed my dozen chocolate chip cookies, on a paper plate wrapped with plastic wrap, next to fancy packages wrapped with beautiful halloween desserts featuring themed packaging, filled with treats that looked too good to eat. My little plate didn’t seem to belong. I vowed to come up with creative, perfectly packaged treats from that day forward. Pinterest had only first launched when I started making halloween deserts for class events. Nowadays it’s a treasure trove of great ideas, especially for seasonal delights. I pin all the mouthwatering treats on my halloween dessert recipe board for next year’s inspiration. 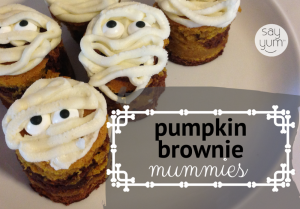 If I don’t find something just right, I find tons of inspiration to craft my own ideas; that’s how my version of brownie mummies was born. I started by researching brownie recipes. I came across Laura Fuentes’ Pumpkin Swirl Brownies recipe. Having subscribed to her awesome Momables meal plans, and purchased her new cookbook*, I knew it was a recipe I could trust. I was right. 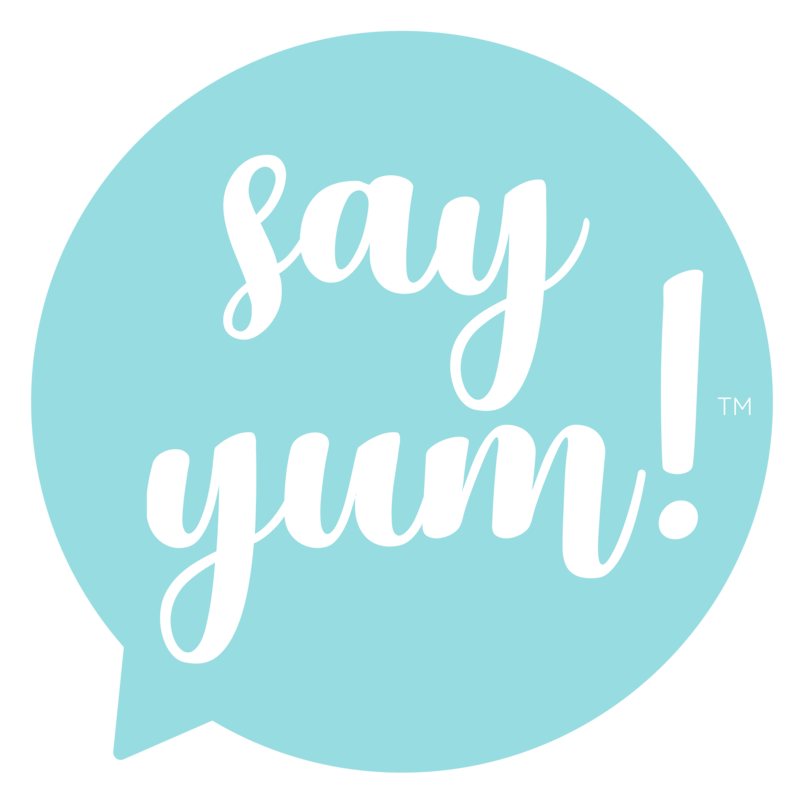 Her recipe made me say yum! I topped it off with my World’s Best Tasting Buttercream Frosting recipe (to be shared in a future post), and candy eyes*. 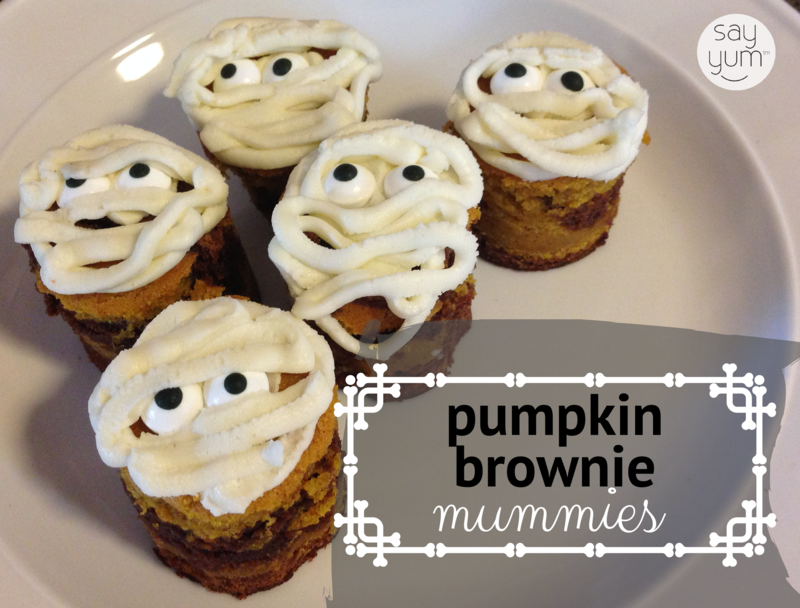 This new halloween dessert was born – Mummy Pumpkin Swirl Brownies. To make them, I simply made a pan of these brownies and some frosting. Ater the brownies cooled I cut out circle shapes with a ring mold (circle cookie cutter) – which is way more time efficient than spooning out batter for mini brownies. I decorated by applying frosting to hold the googly eyes, and then piped (using a ziplock bag) around the eyes to look like a mummy. Simple and delicious! Try it out for your next halloween gathering. 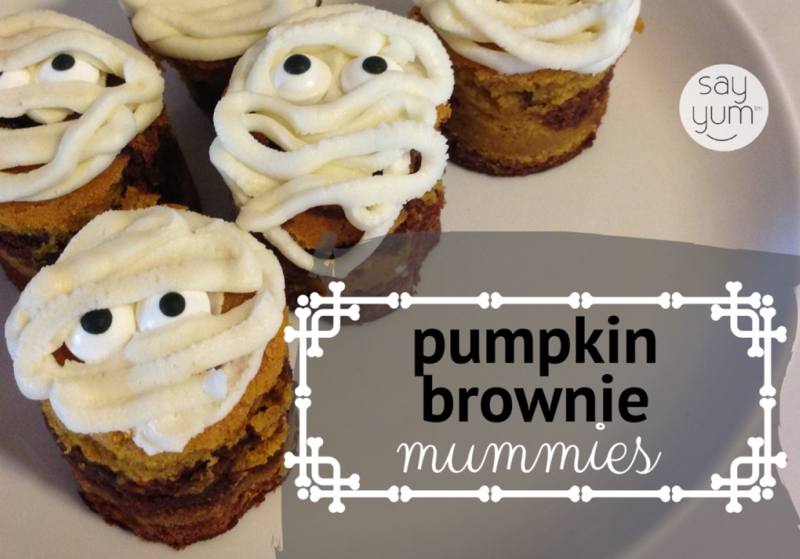 Halloween guests will scream in delight over these adorable dessert. The flavors feature the fall season balancing the best of chocolate brownies and pumpkin pie with a deep chocolate layer bursting with a blonde brownie based dressed up with pumpkin and holiday spices. Make the brownies using Laura's recipe and cool to touch. Cut brownies into desired shape. If making shapes, you can use the scraps to top or mix in with ice cream. or break up further and mix with icing for shaping into brownie pops. Apply small strip of icing to individual brownies and apply candy eye(s). Frost brownies by piping outline around perimeter of brownie, then moving bag back and forth across the brownie.